One of my many favorite things about Fall is the great recipes! 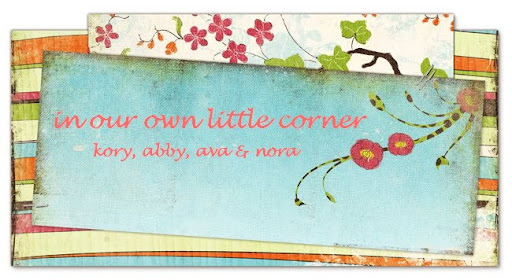 My lovely mother shared this one with me and I thought it was a perfect thing to make today with the little ladies(it is so easy) After getting the best apples ever (honey crisp) from our local farmers market, we got to work! 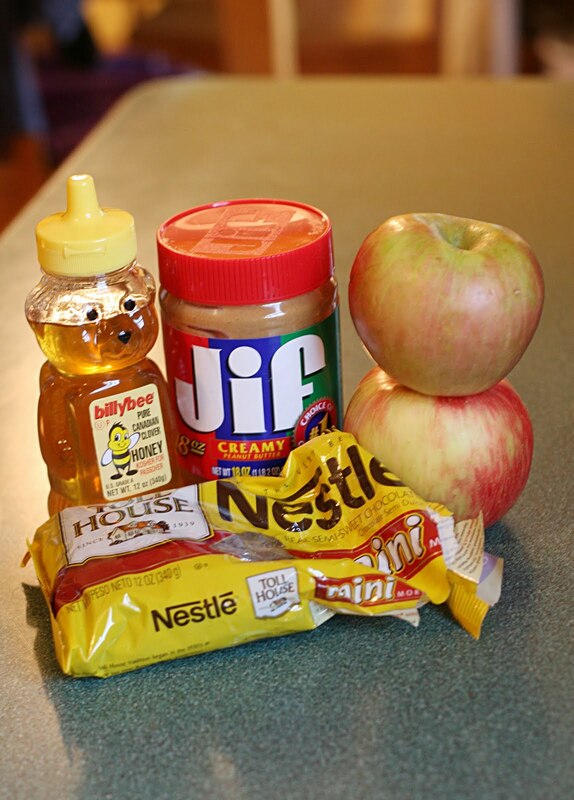 You will need apples, peanut butter(we used creamy), honey, and mini chocolate chips. 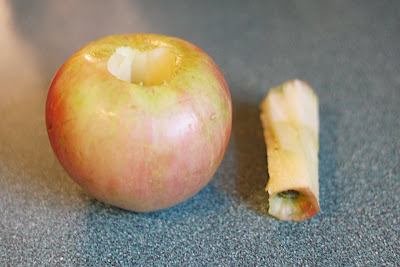 After collecting all the ingredients, the hardest part of the whole deal is step two coring the apple! 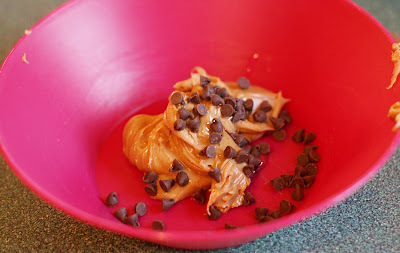 (I told you it would be easy) Next take a spoonful of peanut butter, a squeeze of Mr. honey bear and a scoop(or 2) of mini chocolate chips and mix it all together. 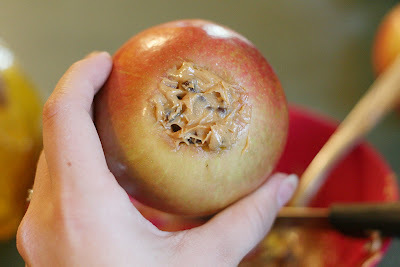 The girls loved this next step of stuffing the apple with the heavenly mixture of goodness! Now, place that baby in the fridge and let it set up for a little while and you are good to go! 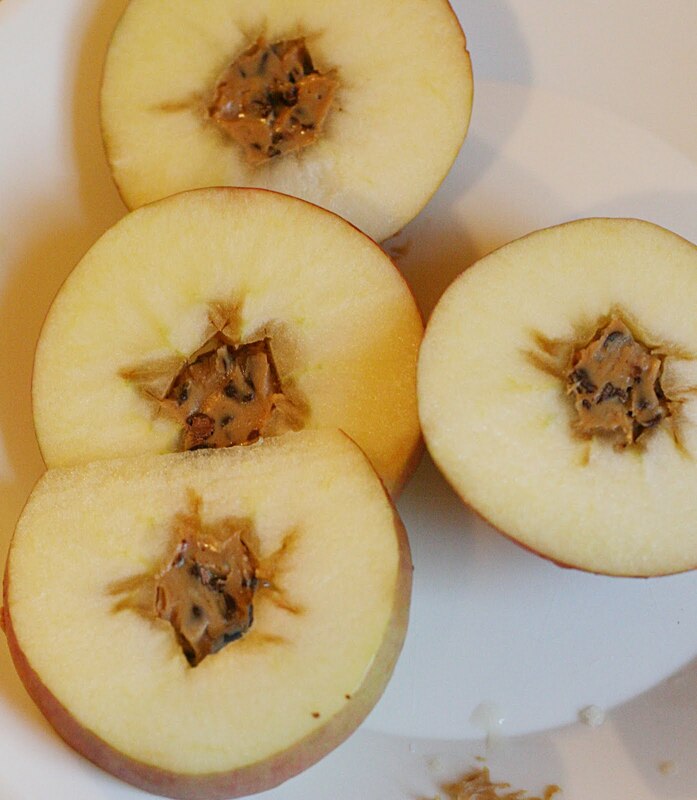 When it is done cut it into slices and enjoy! Take it from me, you will absolutely want to make more than one!